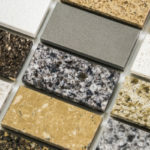 If you’re in the business of remodeling your kitchen, chances are you’ve heard the term “10×10 kitchen” tossed around. What does this term really mean, and what does it have to do with your kitchen remodel? 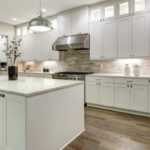 A 10×10 kitchen is a sample kitchen, or standard sized kitchen, that provides a universal price comparison system used to represent a wide variety of cabinet styles, brands, types, etc. It provides a price comparison customers with a wide variety of kitchen sizes can use to gain a general idea about cabinet costs. Is Anyone’s Kitchen Really 10×10? Not all, but some kitchens really do fall into the 10×10 category. 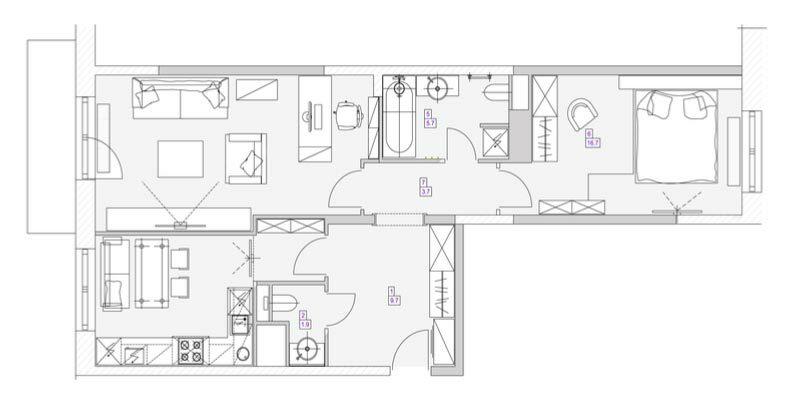 Generally, this is a simple L-shaped kitchen, with the sink and dishwasher on the long end of the L, and the fridge and oven/stove top on the shorter side of the L.
Most kitchens fall somewhere above or below the 10×10 measurement mark. 10×10 is not the average or most common kitchen size, instead it’s just an easy number to compare quotes to. Does 10×10 Include the Dining Area? People frequently ask if the 10×10 kitchen model includes the dining area, or if it leaves that out of the measurements. For the most part, no, it does not. More realistic estimates that include the dining area would fall between 175 and 200-square-feet. What About the Kitchen Island in a 10×10 Kitchen? The standard 10×10 kitchen is not classified as having an island, but that doesn’t mean one wouldn’t fit. If you are planning to add an island, you’ll need to personally account for the additional cabinets. What is the Average Size Kitchen? According to a 2012 report by The Home Company, a standard 4,800-square-foot home includes a 480-square-foot kitchen. Keep in mind, that’s a large house, nearly twice the size of the average home in America, which was 2,687-square-feet in 2012. The size of the average household kitchen has increased considerably over the last half-century. Back in 1945, it was perfectly normal to have a 70-square-foot kitchen. Today, kitchens commonly measure over 150-square-feet. A 70-square-foot kitchen is considered small by today’s norms. 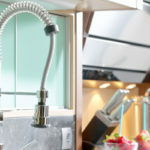 In 2009, the National Kitchen and Bathroom Association defined a small kitchen as anything that measures 70-square-feet or less. Furthermore, they labeled a large kitchen as anything larger than 70-square-feet. A study by PI Consulting found that the average kitchen size is larger than industry standards, measuring around 225-square-feet. Others put the average square footage somewhere in the middle, closer to 150-square-feet. The truth is that you don’t need a massive kitchen to cook good food. Instead, you need a well-designed kitchen that offers ample seating room for guests and family to gather around. You need well-placed convenient appliances and tools to get things done without issues. Measurements Matter: How Many Square Feet Is Your Kitchen? Take the time to measure your kitchen’s exact square footage. This is hugely beneficial when it comes time to collect quotes for kitchen renovations. Once you know how your kitchen stacks up to the standard 10×10 model, you can configure prices in your brain (or using a calculator) to see if they align with your remodeling budget or not. It is very common to receive estimates in terms of square footage, so shop prepared. If you don’t know how your kitchen stacks up to a 10×10 kitchen, it’ll be difficult to determine costs and stay in budget. 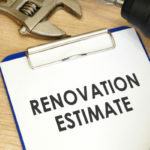 The bigger your kitchen, the more renovations are going to cost. Regardless if you have the biggest or smallest kitchen on the block, we can help you save money. We offer high quality kitchen cabinets and countertops at affordable wholesale prices. Start shopping our vast selection of inventory today!